For the enterprise looking to integrate a 2-in-1 like our new Galaxy Book 12 seamlessly into the mobile workflow, it helps to take a look at some potential use cases. These hybrid devices, as the name suggests, blend productivity and mobility, and a few examples from diverse industries demonstrate just how they can balance these business needs. Sales: Mobile sales professionals have been among the early adopters of the 2-in-1. They are drawn by the versatility of a device that can deliver customer-facing presentations in tablet format, while tapping into the enterprise CRM and other compute-heavy back office functions as a Windows PC while on the road. Financial services: For many financial advisors, mobility means being able to showcase charts, graphs and data in a compact, convenient form factor while meeting clients. These same professionals want to run hard numbers and analyze data while remaining mobile. The 2-in-1 offers computing power for both uses. 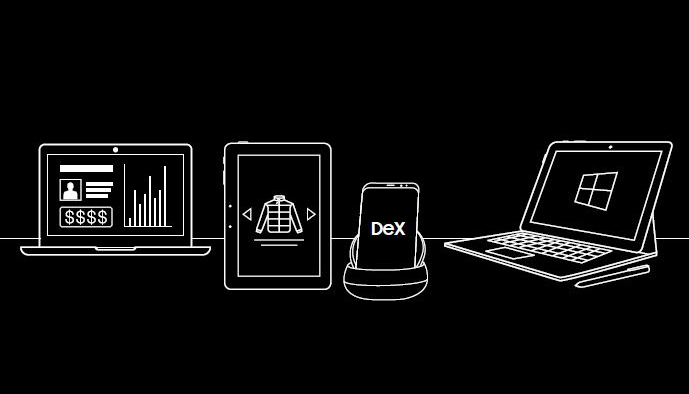 Retail: Having the right device in the right hands also means having access to the right information when needed. A retail floor manager may be working in productivity mode, setting the new layout for the shelves. On the floor, the manager switches to tablet mode but can still seamlessly access the same Windows applications. There’s no need to transfer files, and any annotations made in tablet mode will still be there when the manager returns to PC mode. Healthcare: Medical professionals are mobile workers by nature. They want a mobile form factor that can communicate images and data along with vital patient information and wellness materials. At the same time, they need a great display view to share medical charts and images with patients, and a Windows PC means easy access to the hospital’s legacy back-office systems. Download this white paper to learn how to best meet the mobility needs of your workforce. Simple and intuitive, the latest 2-in-1 devices integrate seamlessly into the workflow of the mobile workers. Still, IT may have concerns about adding a new class of device to the enterprise digital inventory. Fortunately, the 2-in-1’s inherent simplicity makes it a natural fit when it comes to rounding out the range of available devices in the enterprise. The 2-in-1 allows enterprise IT to answer a common complaint among mobile workers, and to which we can all relate: we are weighed down by too many machines. A phone, tablet and computer are more devices than most workers are willing to tote. Since IT infrastructure is inherently easier to manage with fewer devices in play, the combined tablet/PC meets a user need while simultaneously easing the burden for management. Moreover, the latest 2-in-1 devices come preinstalled with Windows 10 Pro, further simplifying the administrative landscape. For those already on the path to Windows 10 migration, insertion of a new Windows 10 device fits within their planned hardware and manageability roadmap. It’s worth noting, too, that a Windows 10 implementation helps ensure smoother end-user adoption. As compared to preceding versions, Windows 10 has a much-improved interface for managing the transition from notebook to tablet modes. Whichever mode of interaction the user selects, the newest operating system will automatically appropriate inputs. It also establishes a low learning threshold for users who are already familiar with Windows-based phones and traditional desktop or laptop configurations. While incorporation of 2-in-1 devices is a clear choice for some organizations, this emerging class of productivity tools is best suited for organizations with mobile workforces. Mobile productivity is about finding the fit: Putting the right device into the hands of the right user, at the right time for the ideal application. See how enterprise mobility solutions are changing the way that employees work on a daily basis.